Ninjafied AGAIN! 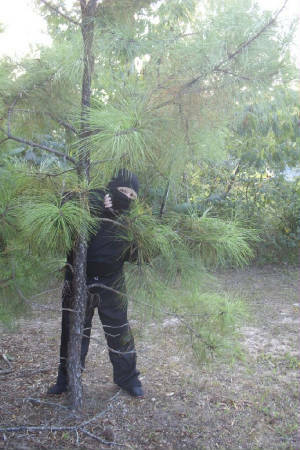 NinGeorge has the drop on you thanks to his SWEET hiding skills and oneness with the environment. Let this be a lesson to all who doubt the powers of the shadow warriors! This site is the property of the Tanjun Ryu Super-Secret Ninja Clan. All content is protected by applicable copyright laws and may not be used or reproduced without the express written permission of the Tanjun Ryu. IMPORTANT: Any and all material (including but not limited to photographs, promotional media, or written manuscripts) sent to the Tanjun Ryu or WeBeNinjas.com become the property of same and may be used in whatever manner the site administrators deem appropriate.